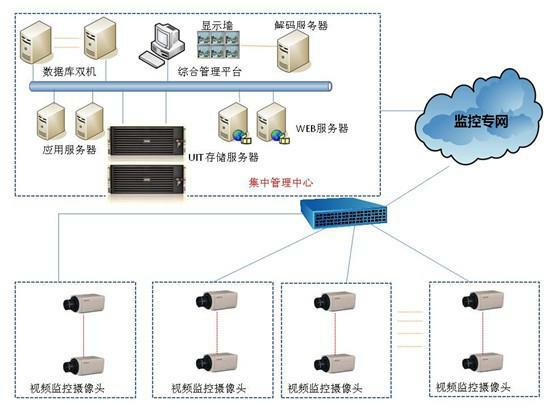 Success Case-United Information Technology Co. Ltd.
7, central storage service function: central storage needs to transfer video files through the network, the central storage server to support the push and pull two kinds of storage. According to the push, first of all to save the front-end video stream for the video file, and then upload the file to the storage center server; according to the drawing, storage center server and client directly with the front to establish a video connection, you will save the video stream for the video file. Center storage support file download and streaming video playback two ways. In the file download mode, the client must first download the video file and then playback; in the streaming mode, the client side is to download and playback. The main functions are as follows: 1) the recording of real-time video storage. 2) history video on demand. 3) history video download. 4) video key frame preview. 5) users, camera disk limit. 6) storage disk, performance query. 7) video files, pictures expired clearance. 8) insufficient disk space to automatically clear. 9) video files, pictures FTP query, download. 8, the user client: the client is the core of the entire image management system interface, but also the user interface of the entire system. Users through the operation of the system to achieve system management and image management. User management can be completed, display wall control, real-time image display, the history of image playback, etc..
9, alarm service plan: 1) system supports the user through the input point, drag the point, in the electronic map frame selection etc. the establishment plan; 2) the user can according to major events security, disaster prevention needs and other practical needs of plan setting; 3) system to support the video switch and the corresponding browsing scheme to save to plan the way. 10, WEB service: provide the WEB service through the IP address or domain name, the client through the browser to watch the real-time and historical video, PTZ camera control operation support, also can manage and download photos, support front-end storage configuration management, alarm settings. 11, the database machine hot standby: high availability tool software, able to monitor the connectivity of the target system. When the target system is accidentally shut down, it can take over the work of the target system, and realize the function of hot standby and high availability. For this project, to ensure that the 898 front 1 million 300 thousand pixel camera storage for 15 days, and the final requirements for centralized storage in the province center, according to the functional requirements of the storage service center: center server storage support "push" and "pull" the two storage methods, according to the push, first of all to save the video stream in front of for video files, then upload the file to the storage center server; according to the drawing, storage center server and client directly with the front to establish a video connection, you will save the video stream for the video file. 3 strong platform compatibility, fully integrated third party platform software for customers to save server costs, flexible customized video management platform. 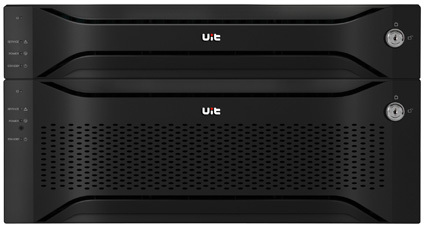 Through this project, once again confirmed that the UIT SV1000G2 series product already has the support of the platform storage application management mode in major project monitoring, can give full play to the function of storage and service, storage management and application platform to build the high price, customized and high reliability.